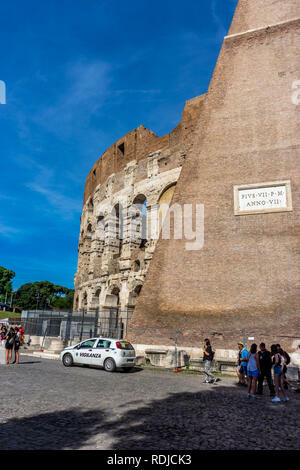 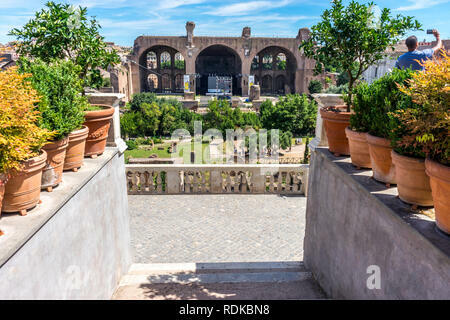 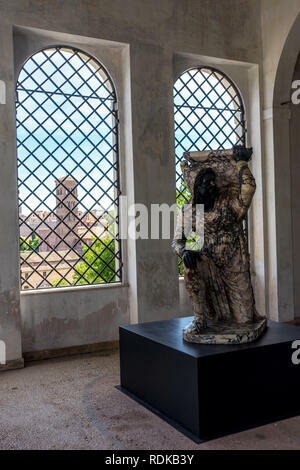 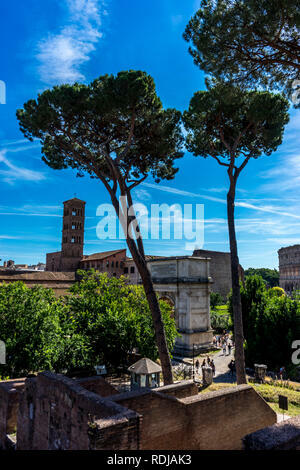 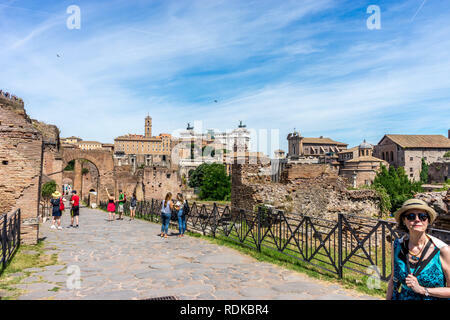 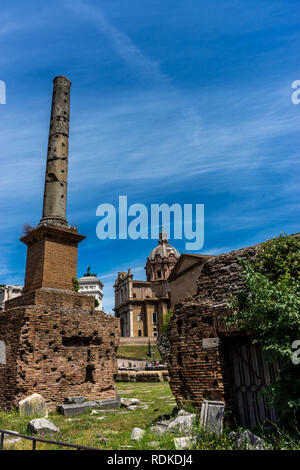 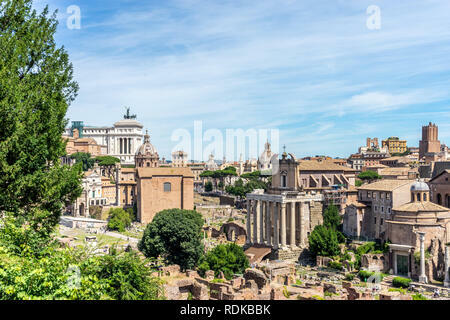 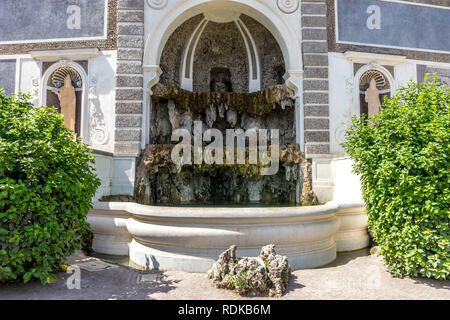 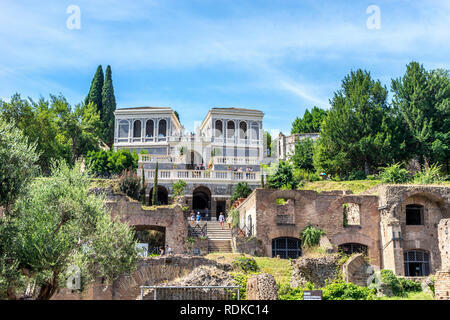 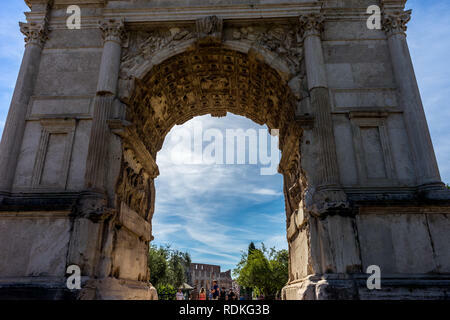 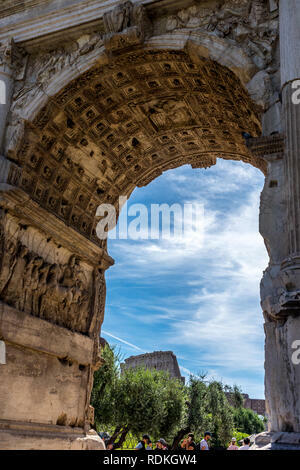 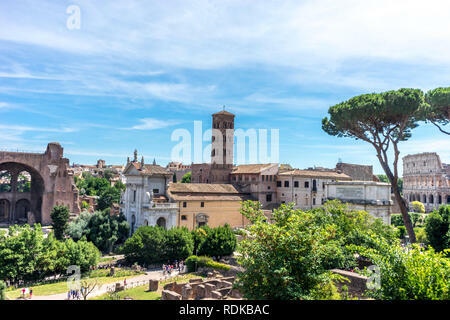 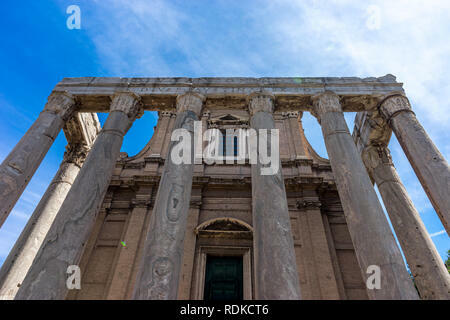 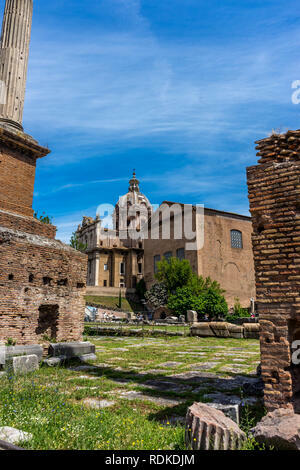 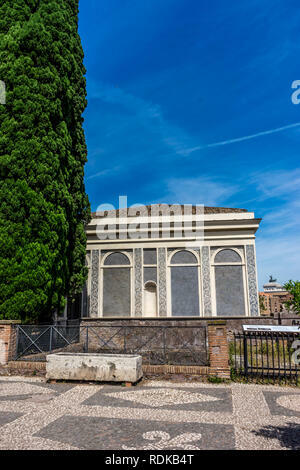 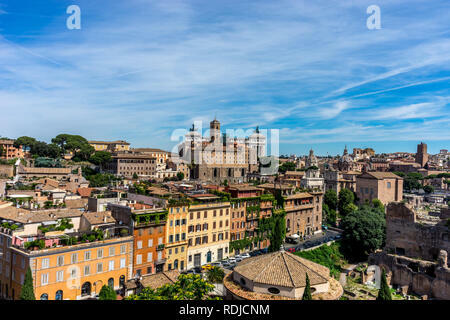 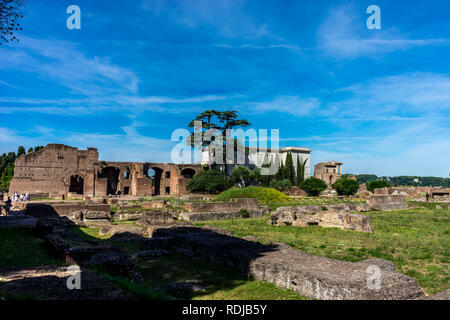 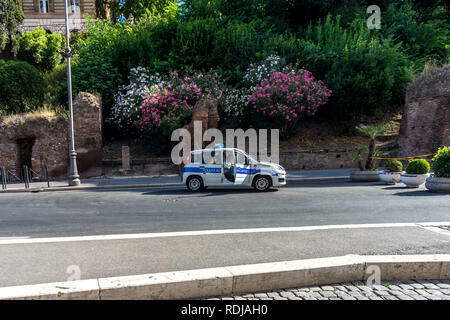 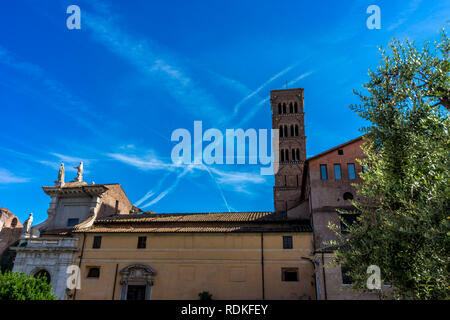 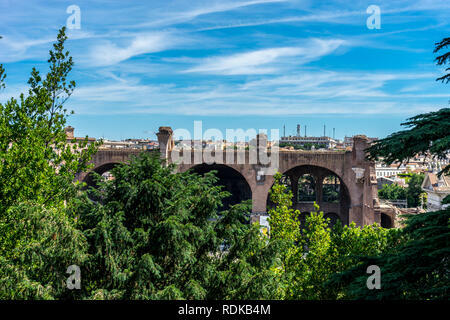 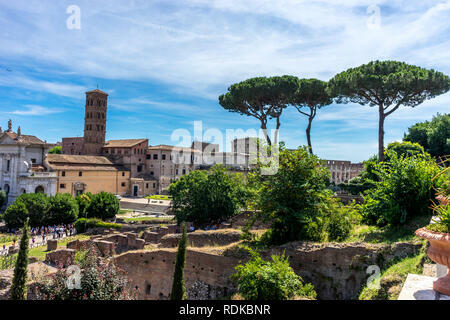 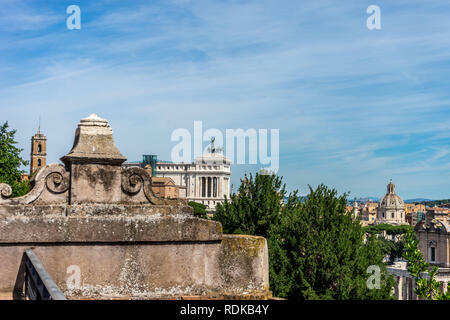 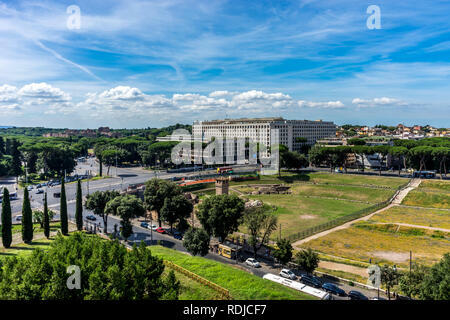 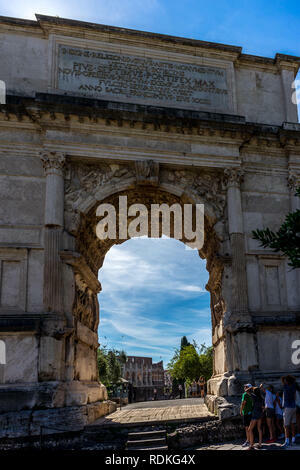 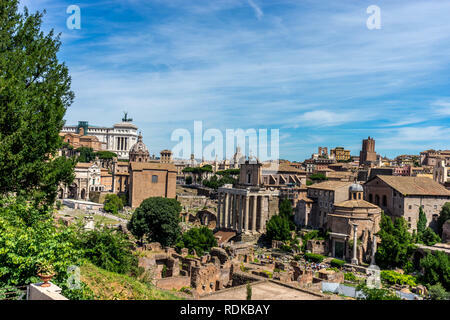 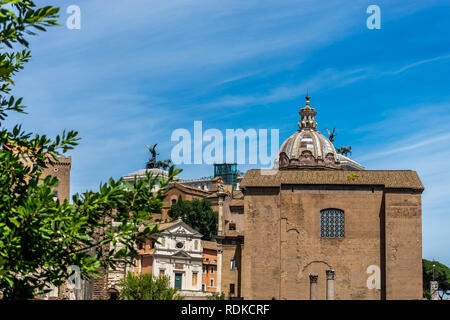 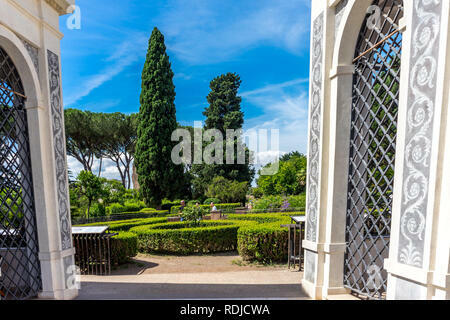 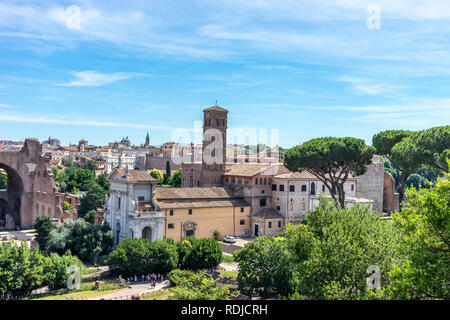 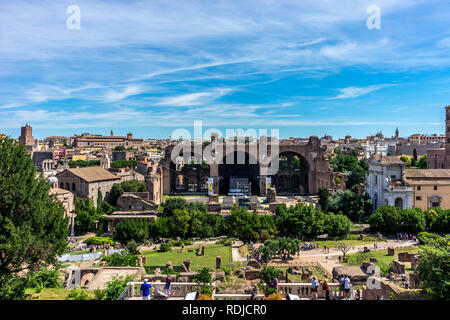 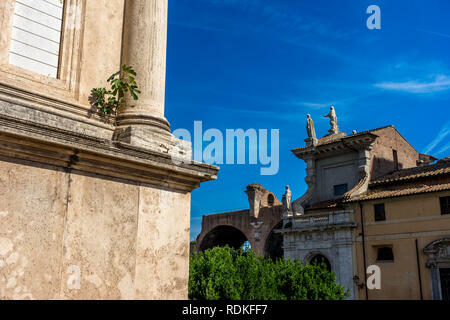 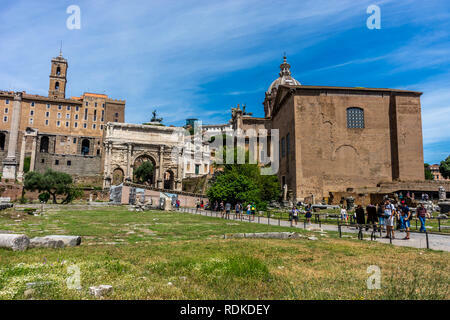 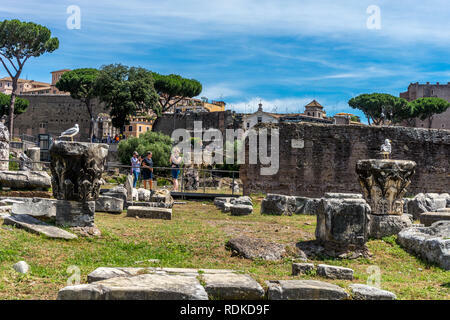 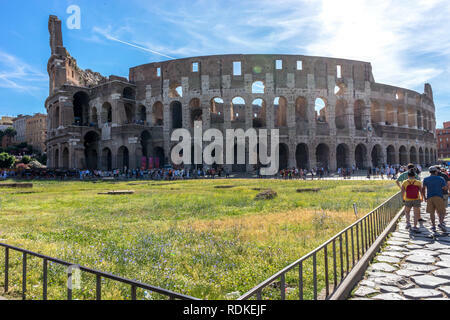 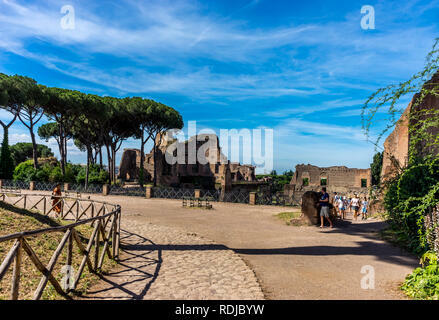 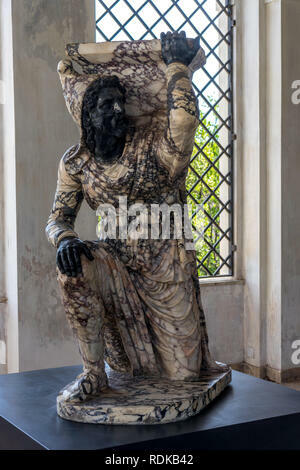 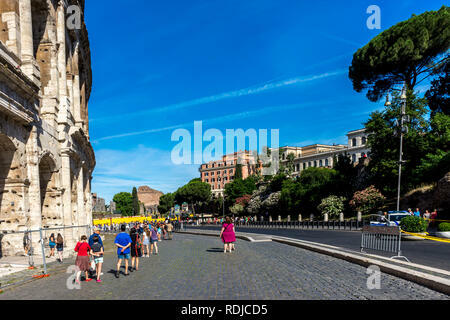 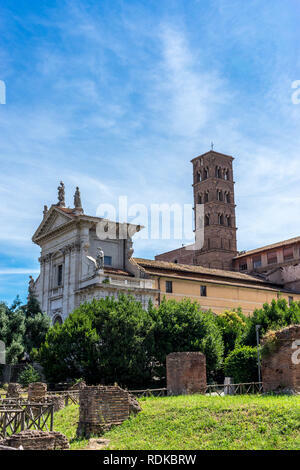 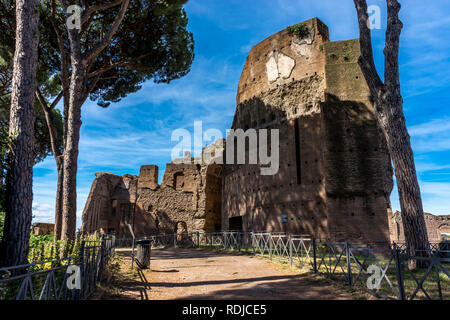 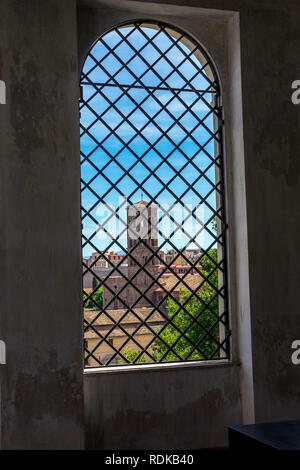 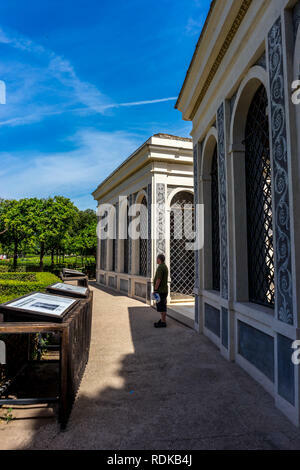 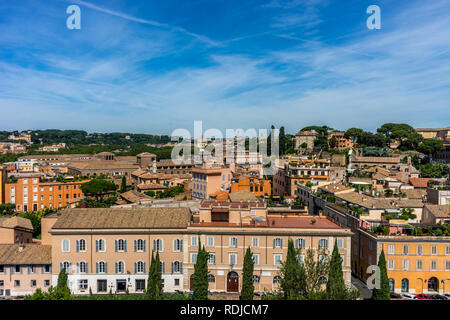 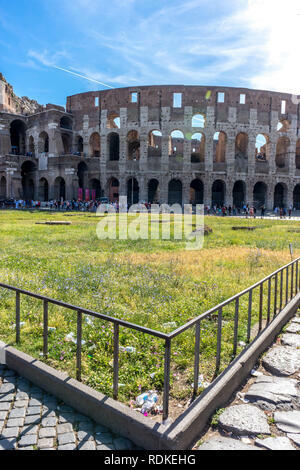 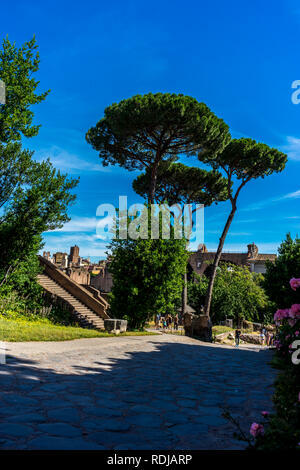 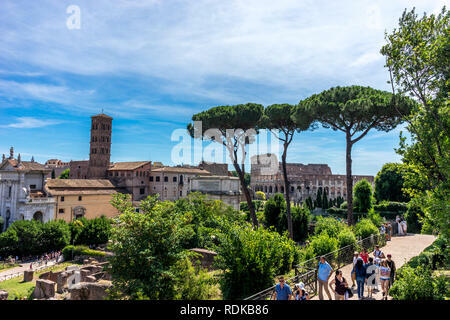 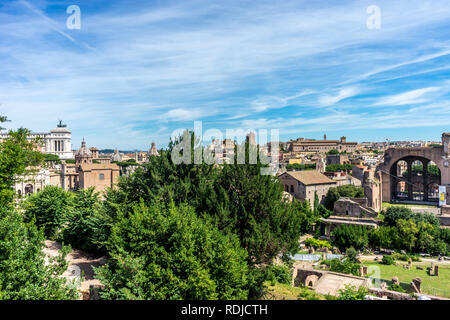 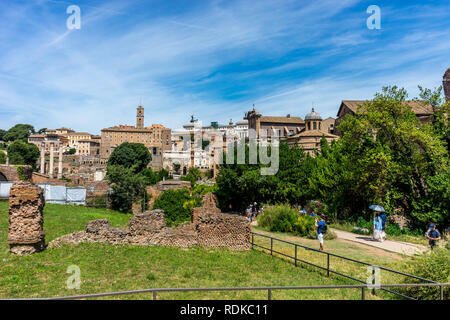 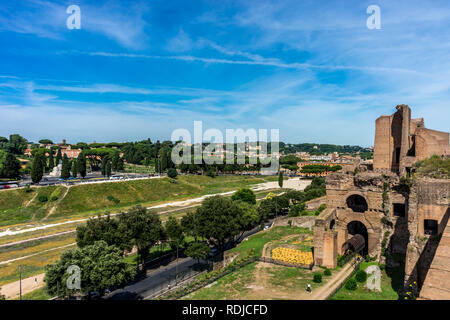 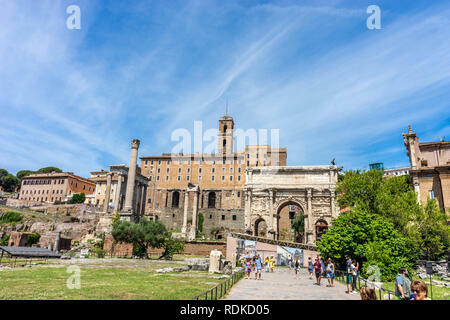 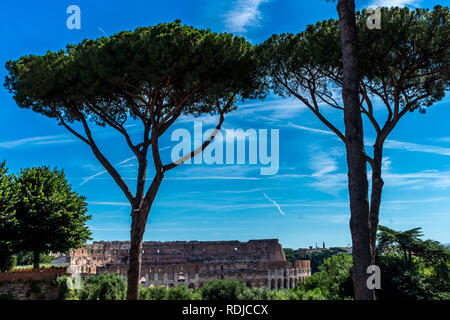 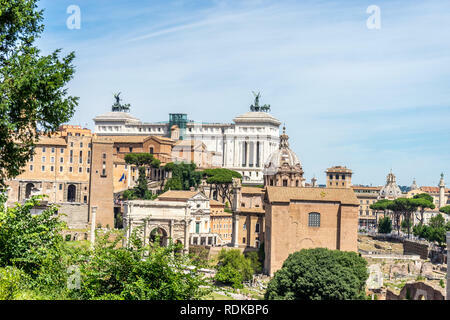 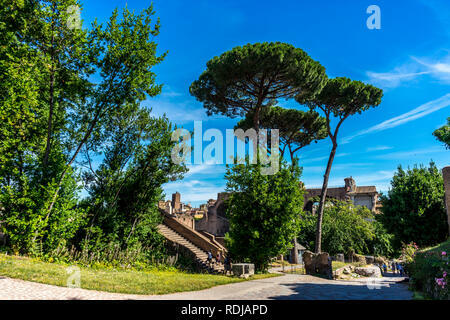 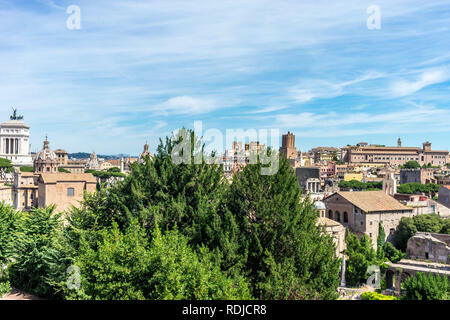 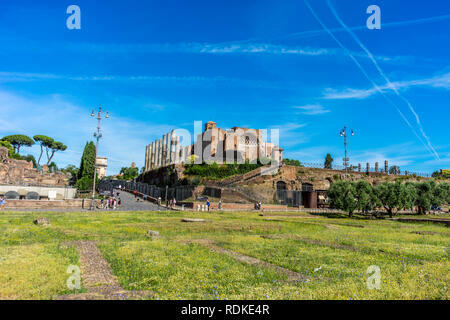 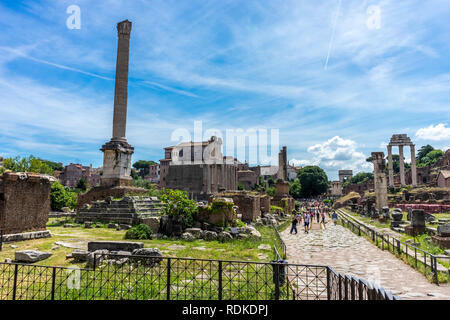 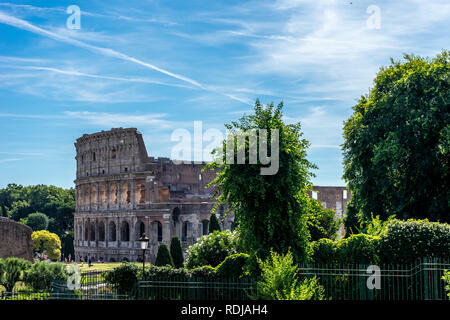 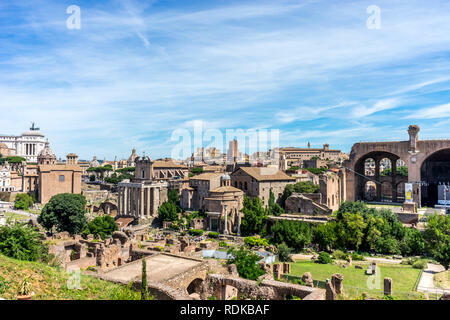 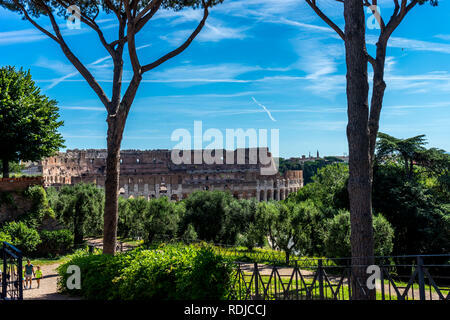 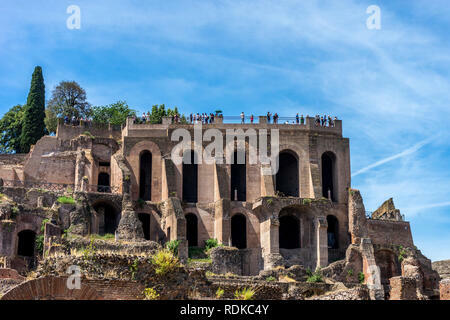 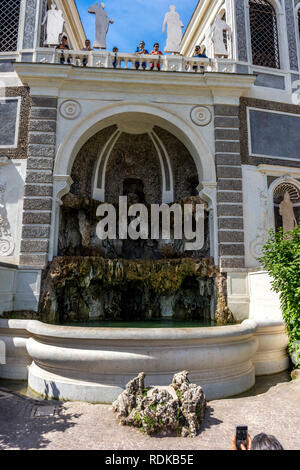 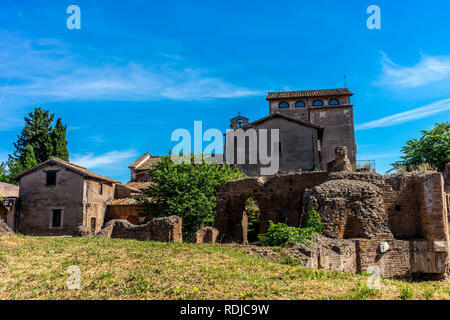 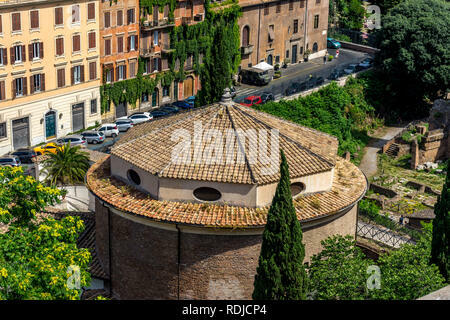 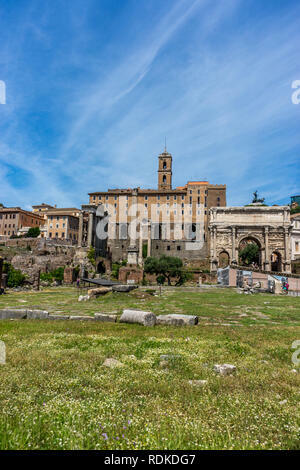 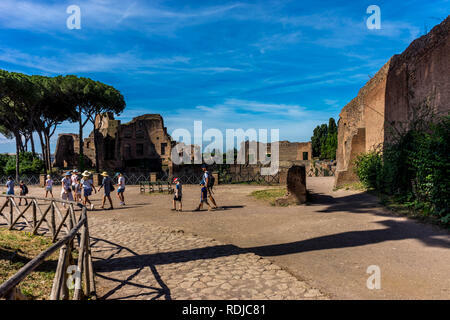 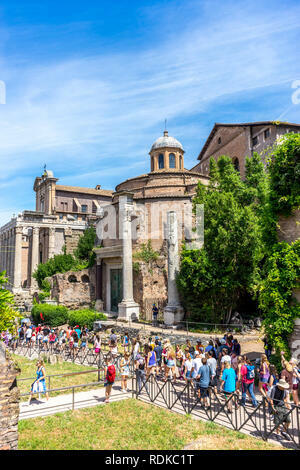 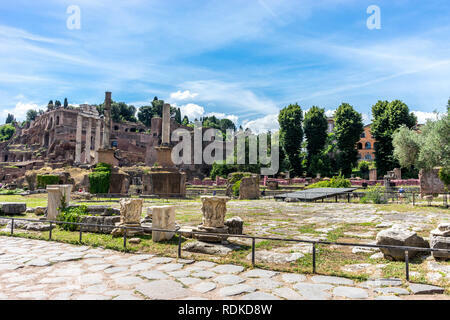 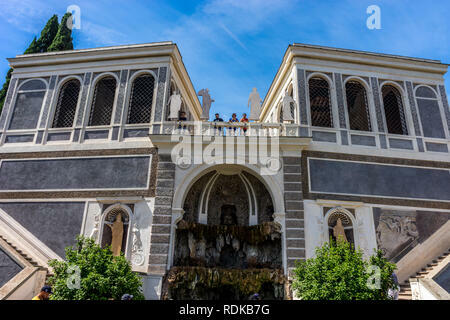 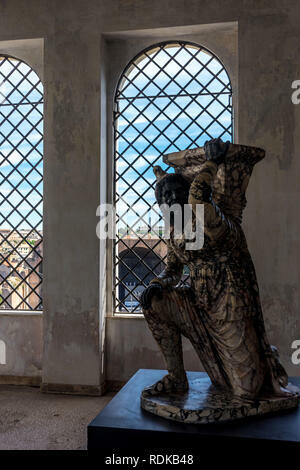 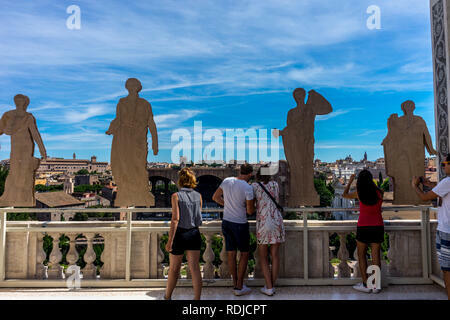 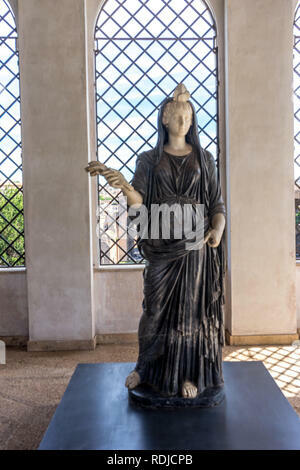 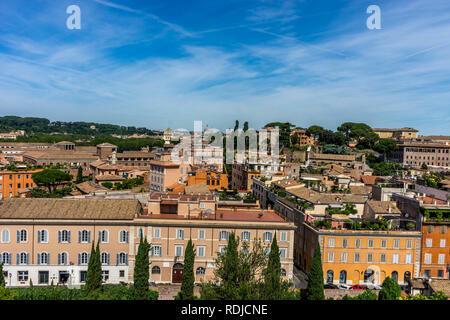 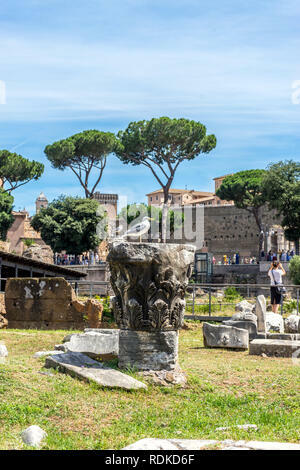 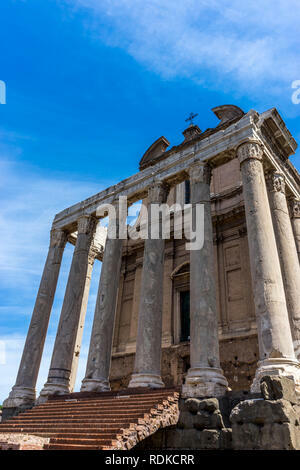 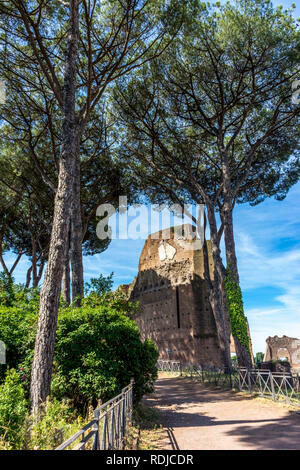 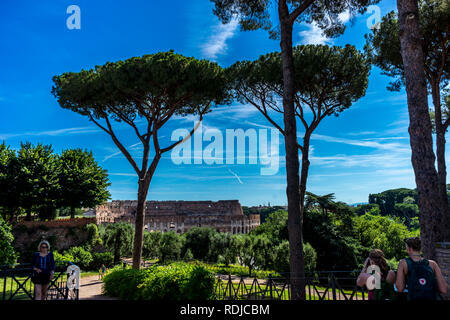 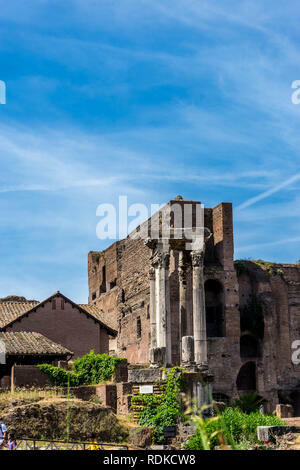 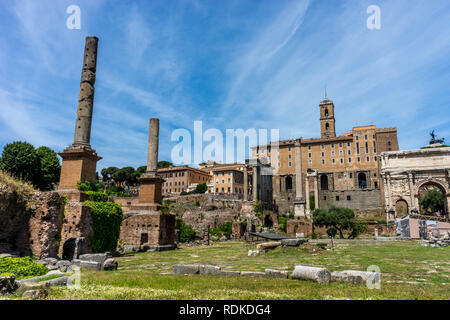 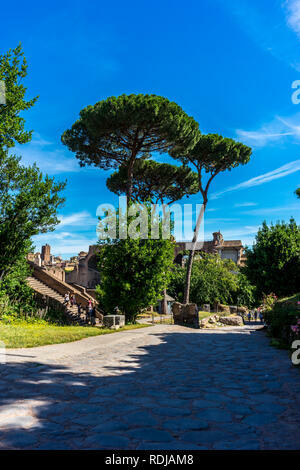 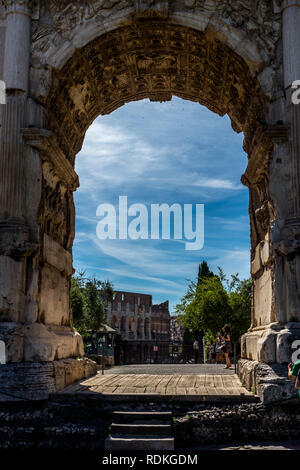 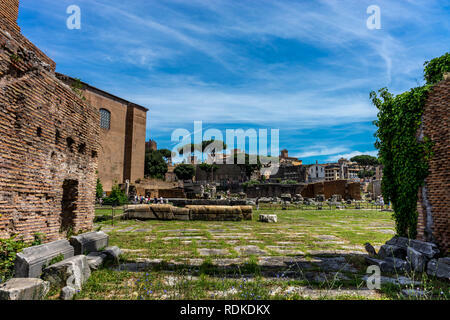 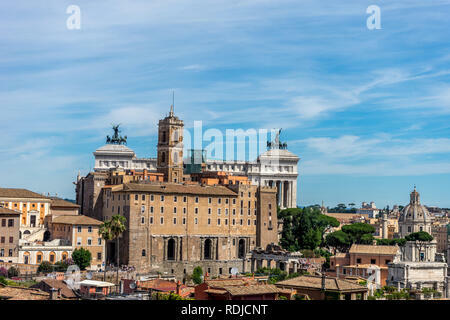 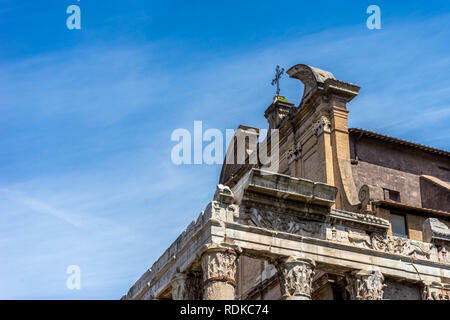 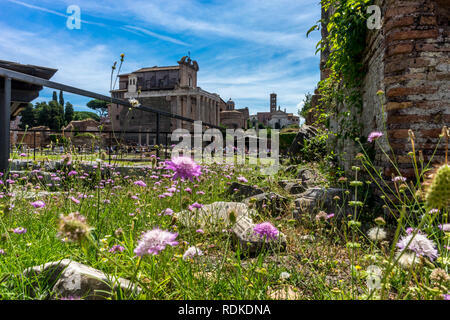 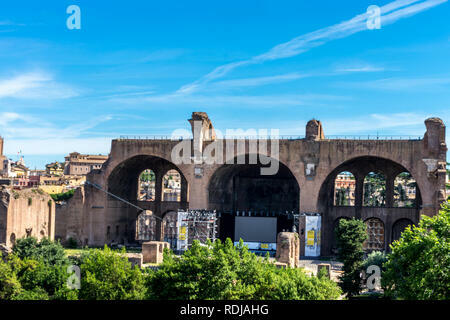 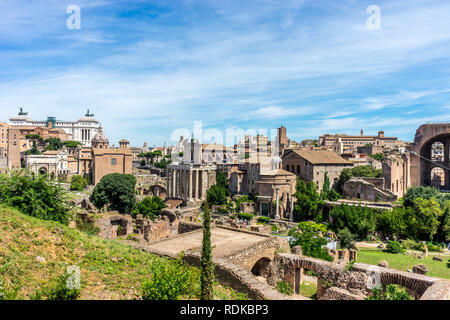 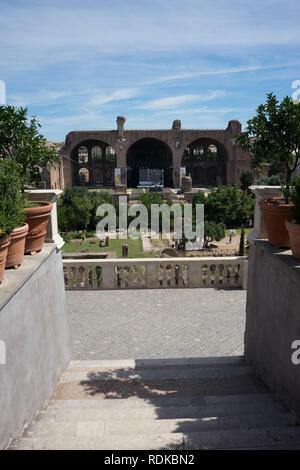 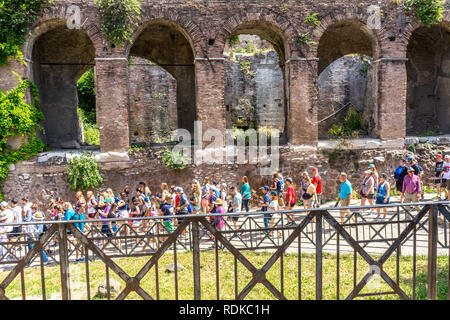 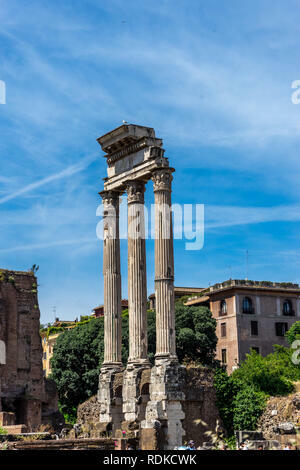 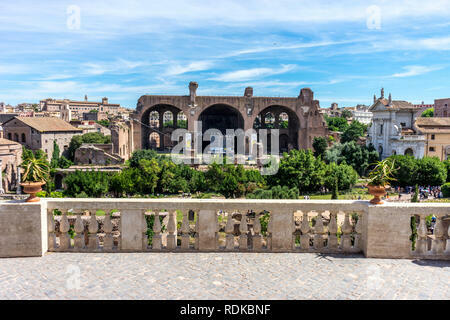 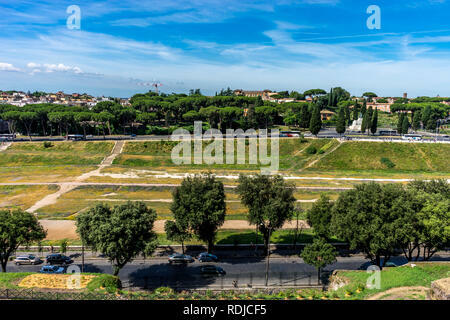 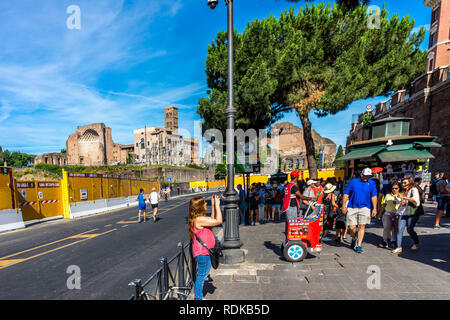 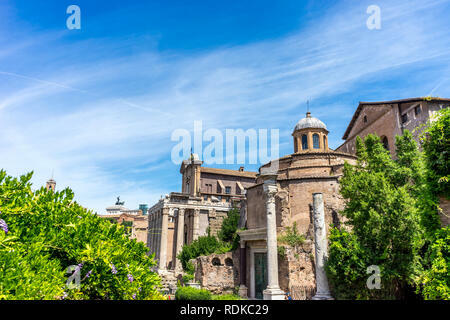 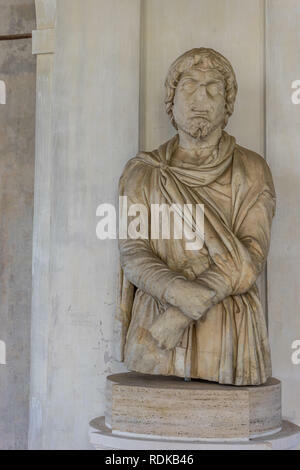 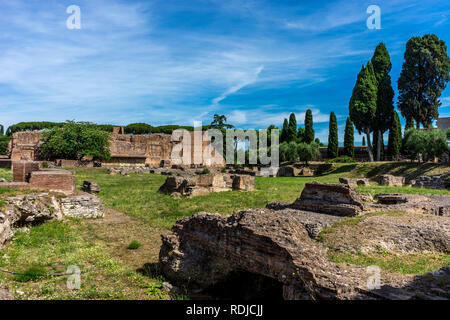 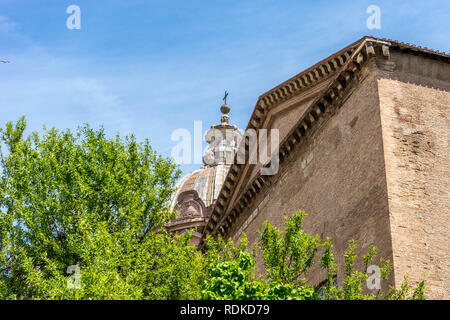 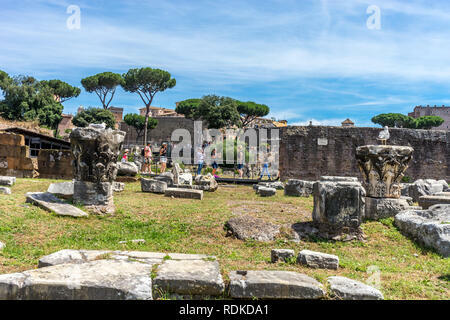 Rome, Italy - 24 June 2018: The ancient ruins at the Roman Forum at Rome. 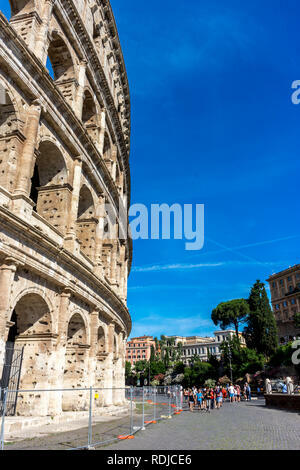 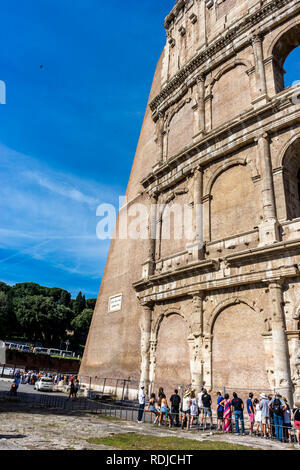 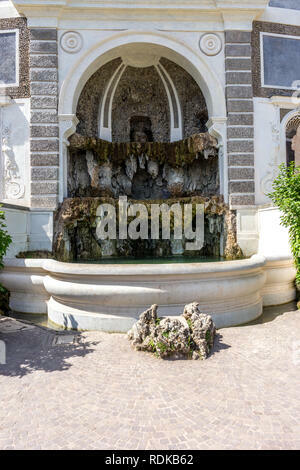 Famous world landmark. 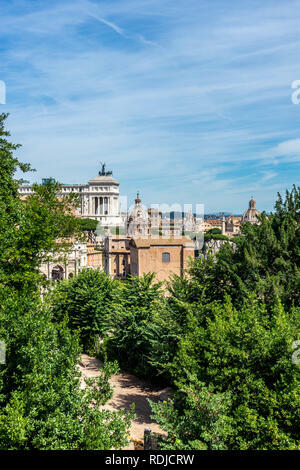 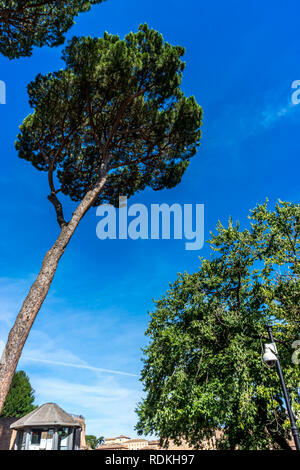 Scenic urban landscape.